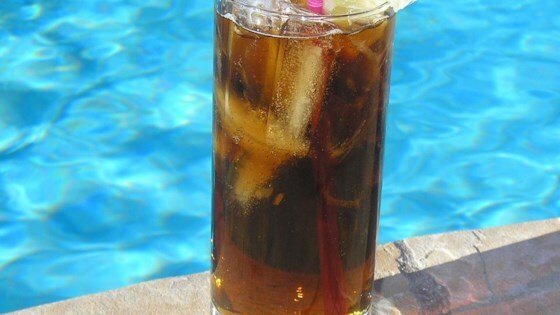 "A traditional Long Island Iced tea with a little more island spice!" Stir together the sugar, water, lime juice, lemon juice, rum, tequila, vodka, gin, and triple sec in a glass until the sugar has dissolved. Add the ice, and pour in the cola; garnish with the lemon wedge to serve.